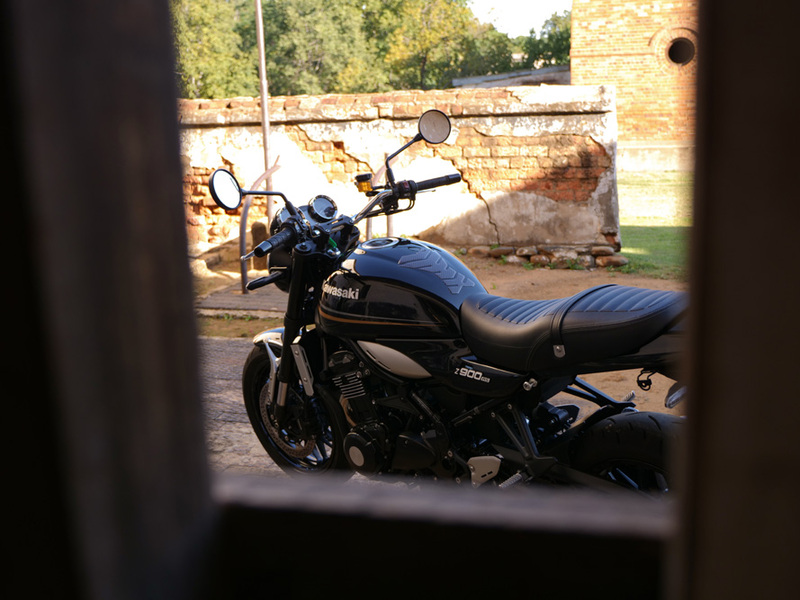 Home Reviews Kawasaki Kawasaki Z900 RS – The legend Returns! 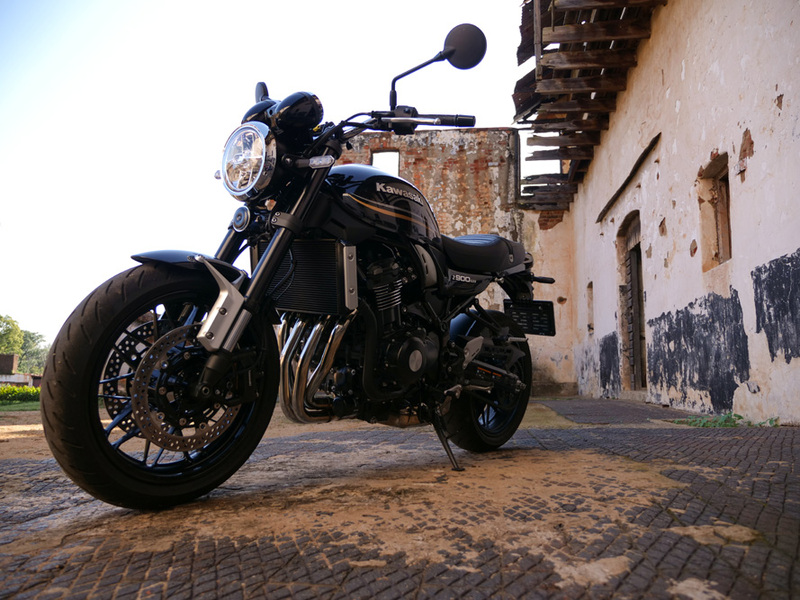 Kawasaki Z900 RS – The legend Returns! 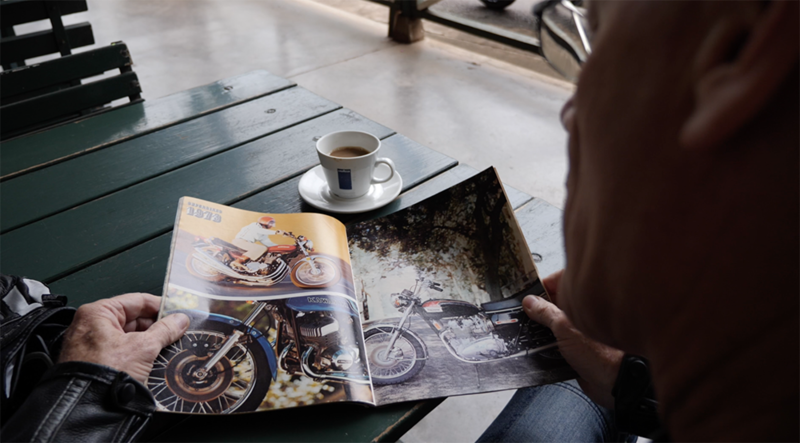 It is hard to explain to the modern generation of bikers what an impact the launch of the original Z900, called the Z1, had when it exploded onto the scene in December of 1972. The world was stunned by the arrival of the Honda CB750 Four in 1969. 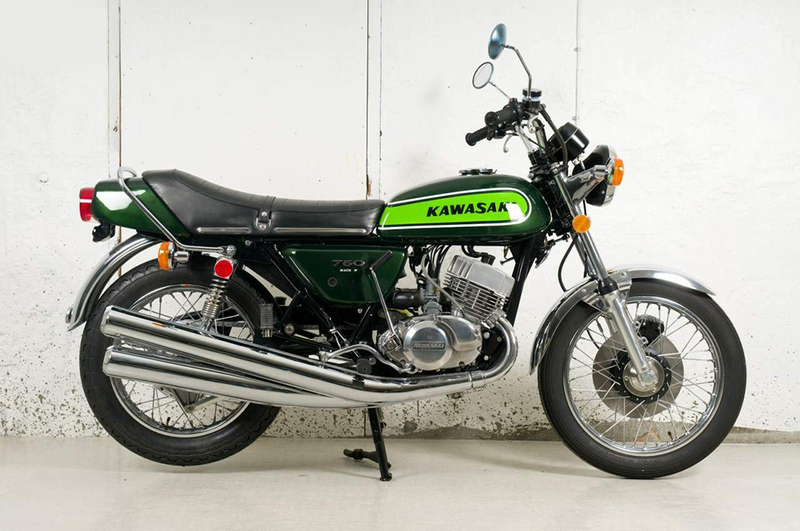 A scant three years later Kawasaki smashed the mould by bringing to market the 903cc Z1. The Z1 was not the most powerful or fastest bike you could buy in 1972. That honour was held by another Kawasaki, the wailing 750 two stroke triple, the H2 Mach IV. What the 903 did was change the way the performance was delivered. The twin cam four-stroke engine pumped out 64.15 ponies on the rear wheel and turned 45.35 Nm of torque. The benchmark CB750 had grown softer in the power stakes since it’s arrival in K0 form in 1969, and only managed 49.61 horses and 34.36 Nm. Although the Honda was 16 odd pounds lighter, the Z1 absolutely trounced it in the stoplight GP’s, doing the quarter mile in 12.38 seconds @110.7 mph to the Honda’s 13.49 @100.67 mph. 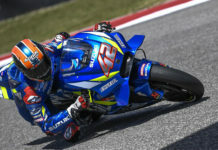 Kawasaki established their performance dominance in spectacular fashion. They also showed the world that they could build four-stroke motorcycles that would continue to fly the “Green Meanie” flag! 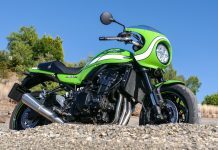 As more and more manufacturers have brought “heritage” motorcycles to market, Kawasaki too have responded with the introduction of the Z900 RS. 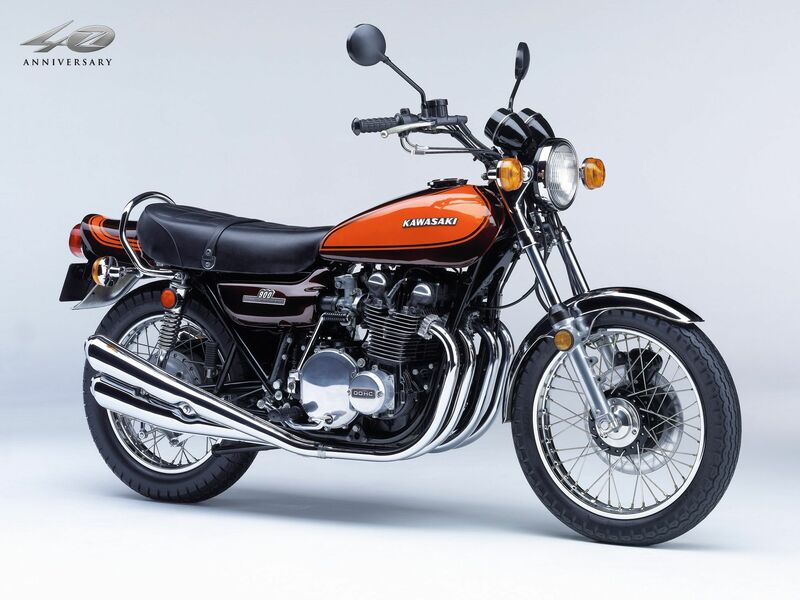 Like Honda, Kawasaki refined the original mighty Z1 into a better motorcycle which kept the looks of the Z1, but sported improved handling and road manners. This model was simply designated Z900. 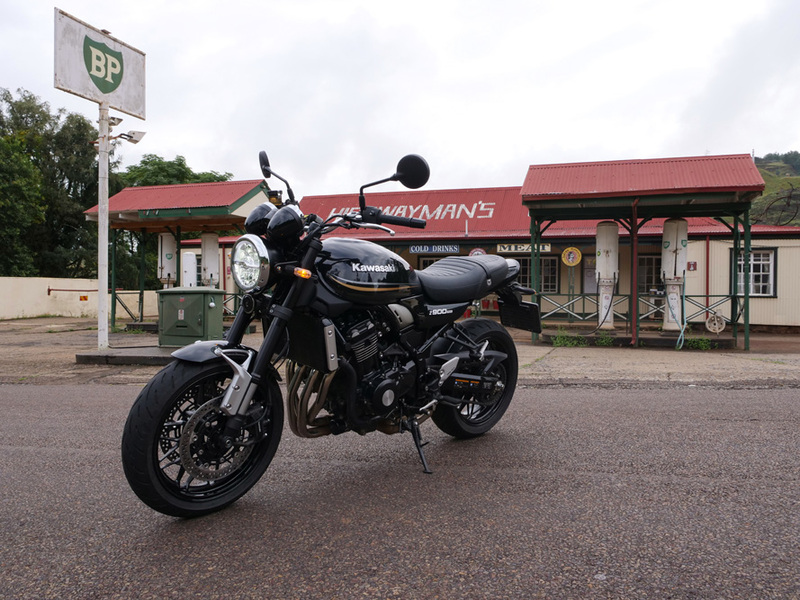 The Z900 was very popular with speed crazy South Africans. The launch price of the Z1 in the states was $2000. Please bear in mind that in the 1970’s the Rand was about 1 on 1 to the greenback. 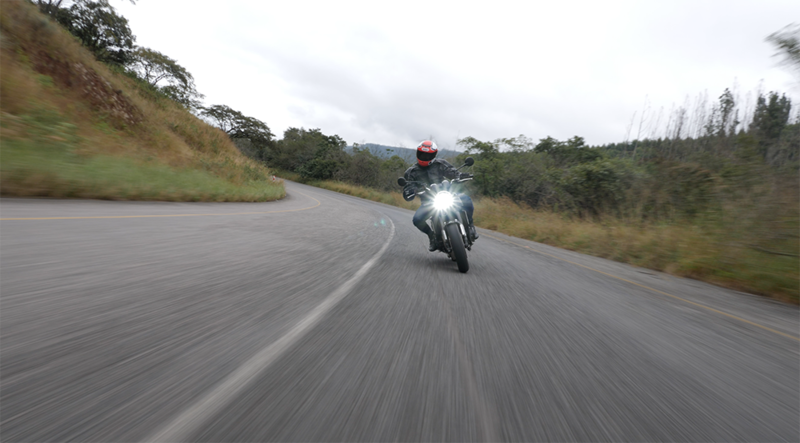 A new Z900 set you back around R2250. [That will get you a decent set of running shoes today!] OK, OK, I know it is all relative, but I just want to illustrate to our younger readers how crazy the world has gone. 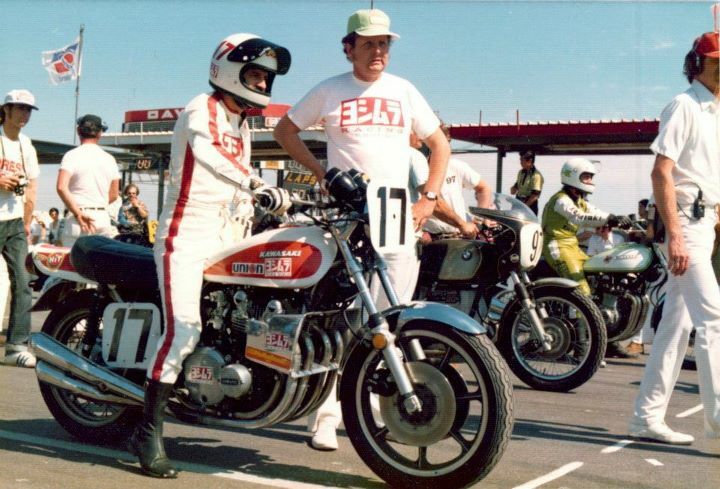 The Z900 established itself in AMA Superbike racing in the hands of guys like Dave “Mr Bones” Aldana, so named after the skeleton styling on his leathers, and the very quick French Canadian, Yvon Du Hamel. 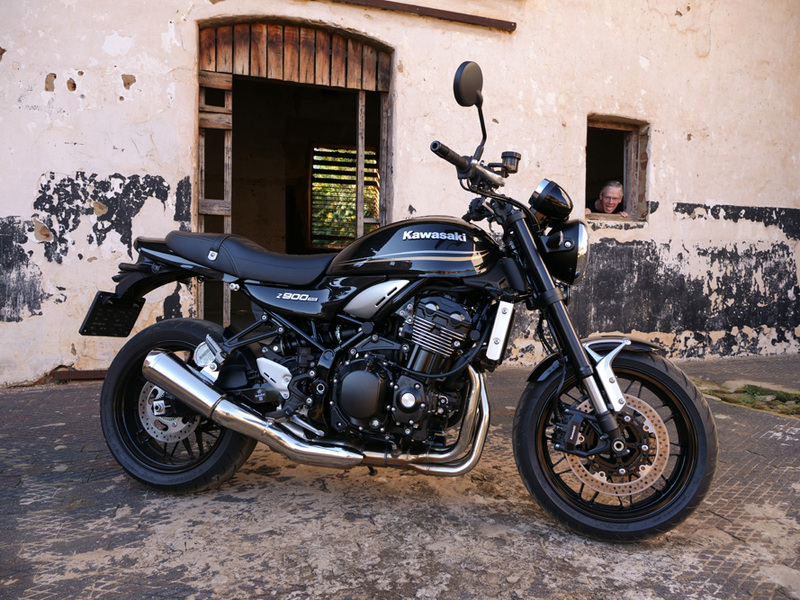 Forgive me for reminiscing, but I need you to understand the legend that this new Kawasaki Z900 RS represents. So, you may ask, does it live up to the legend? 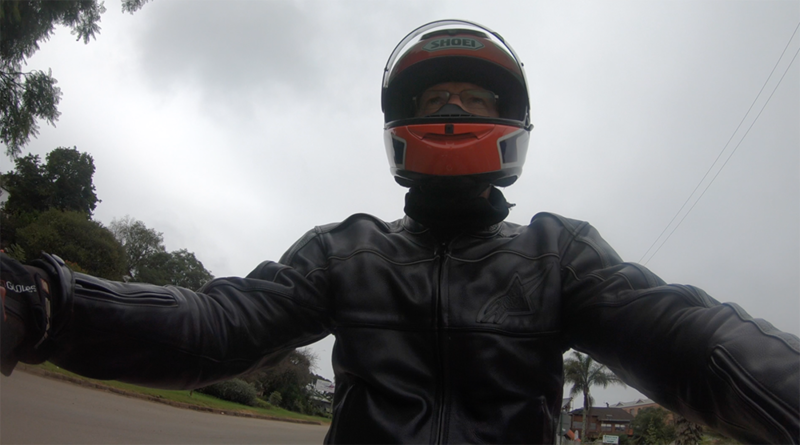 To find out, I rode it around in the typical day to day urban environment for a few days, then took it on an extended trip to Mpumalanga to really test it’s mettle. 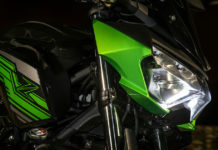 In total, I have done almost 1500 kays on the new Z900 in every conceivable riding condition, and on every type of road. I really have got to know this bike intimately. So, let’s start with the defining feature of every Z900 since the original Z1. The engine. 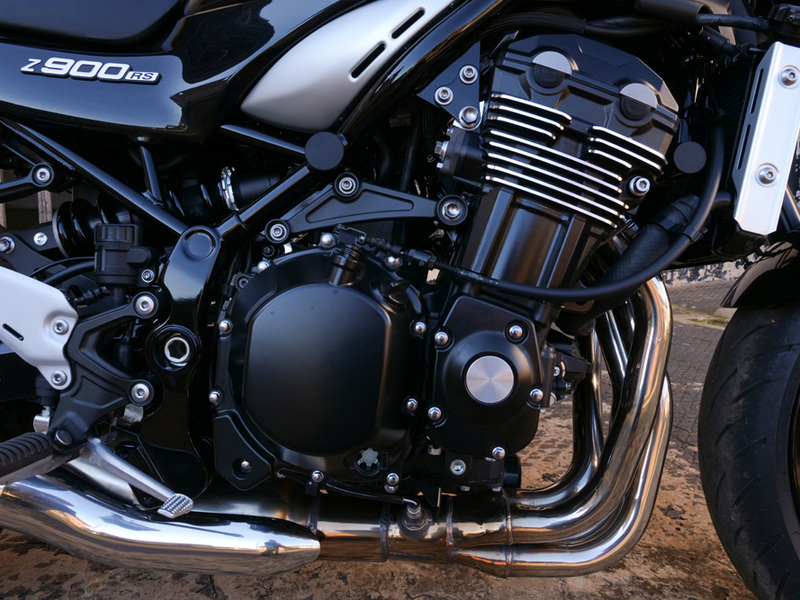 The motor of the Zed is a retuned version of the excellent motor from the current Z900 naked bike. 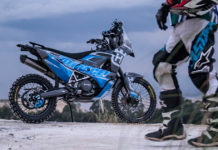 Some top end power has been lopped off in favour of more midrange torque, and gear ratios have been shortened. These mods result in decent go when you let out the clutch. You can short shift through the ‘box, and trundle along in sixth almost like you are riding an automatic. Such is the spread of power and torque that you can literally allow the revs to drop as low as 1200 in sixth gear, open the throttle gently and the Z simply accelerates seamlessly back up to speed. I know that we don’t generally ride like that, but I tested it to demonstrate the amazing flexibility of what is a fantastic engine. 8Sixth gear is not abnormally low, and the Z900 is turning 5000 rpm at an indicated 130 kph, with still another 5000 rpm available to redline. Cruising at 160 you are still 3800 from the limit. Perfect for SA’s long distances. That said, sustained speeds over 140 are hard work on a naked bike as you start fighting the self induced gale force headwind. The engine is turbine smooth from idle to redline. Uncannily there are no parts of the rev range where it even gets slightly buzzy. Beautiful. The motor pumps out 111PS @8500 rpm and a healthy 98,5Nm of torque @6500 rpm. It delivers 80% of the torque from only 2000 rpm. 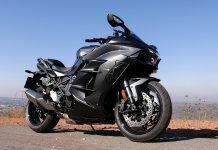 The bike doesn’t feel fast in a ZX 10 kind of way, but fast in a “strong” kind of way, if you know what I mean. Weighing in at 215 Kg’s, it is not particularly lardy. All of this translates to a top end of around 230 kph. Not to shabby hey Nige? The sweetest engine is simply a frustration if you can’t lay that power down. The steel tube chassis and the quality suspension allow full use of that fantastic power plant. I dialled in a little more preload on the back shock for a passenger, and as is normal bumped the rebound damping a few clicks. Leaving the front as is, the Zed turned beautifully and handled everything the roads threw at it with aplomb. 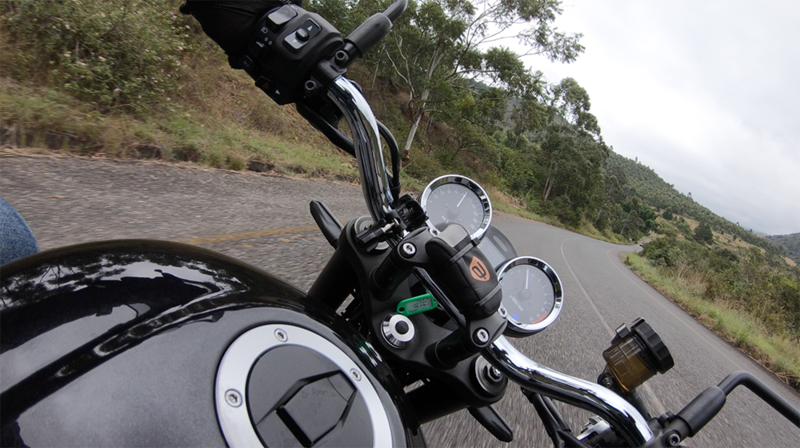 The road from Barberton to Malelane is a little narrow, bumpy, and curves and undulates through the country side. Nothing could knock the Z off it’s line. In fact the bike is uncannily stable. 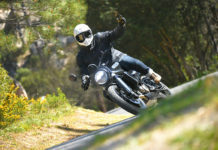 It is not unusual for naked bikes to exhibit some looseness at speed on dodgy roads. 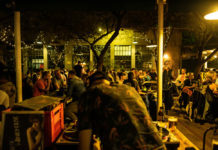 The wind blast and wider bars often induce minor wobbles and wiggles. Not so the Z. It runs straight and true, inspiring huge rider confidence, and allowing tremendous enjoyment. 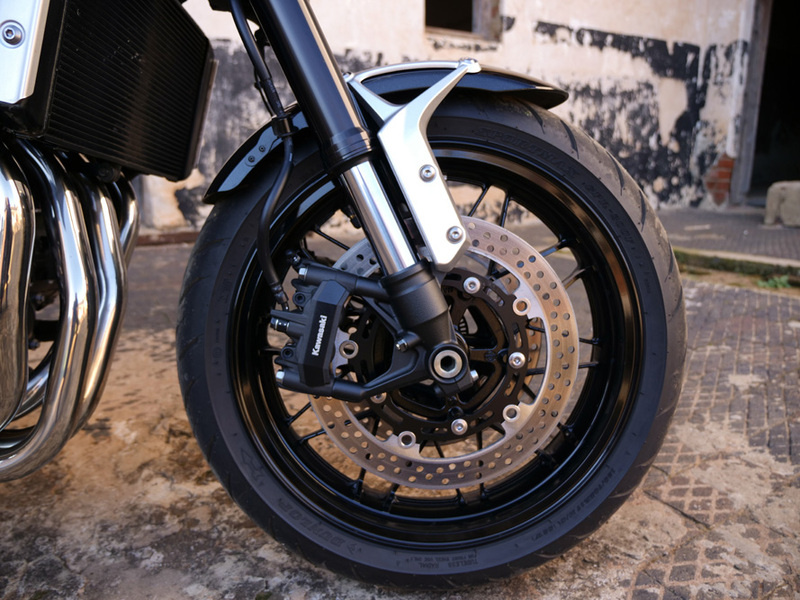 A 120/70×17 front wheel and 180/55×17 rear contribute to the decent handling characteristics. The wheels are mags with a rather difficult to clean design. I would have liked something along the lines of the Lester after market mags that we used to fit to our bikes back in the day before mags became standard equipment on sports motorcycles. 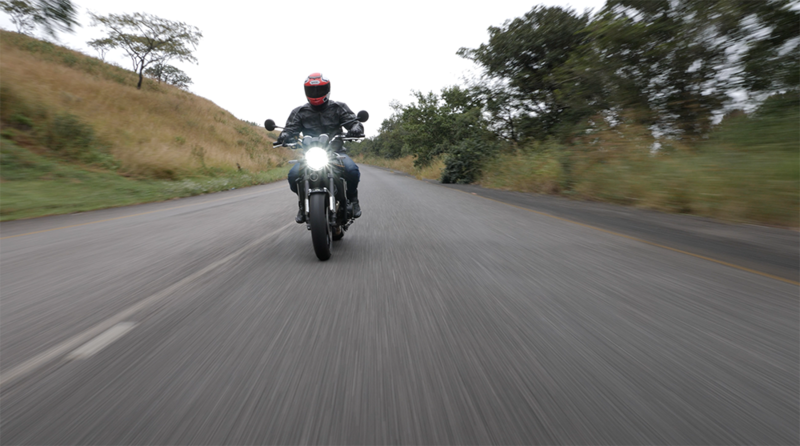 An advantage to styling that mimics that of the original Z900 is a practicality that is almost lost on modern bikes. The seat is flat, so you don’t slide for and aft. It is wonderfully comfortable too. Passenger accommodation is good. The seat strap, typical of bikes of a bygone era can chafe the inner thigh on an extended ride and get your passenger grumpy. No problem really. Just whip it off and it’s all smiles. The styling is so true to the original that I was asked on one occasion if I had restored the bike. Clearly we remember the shape of bikes more than the detail. 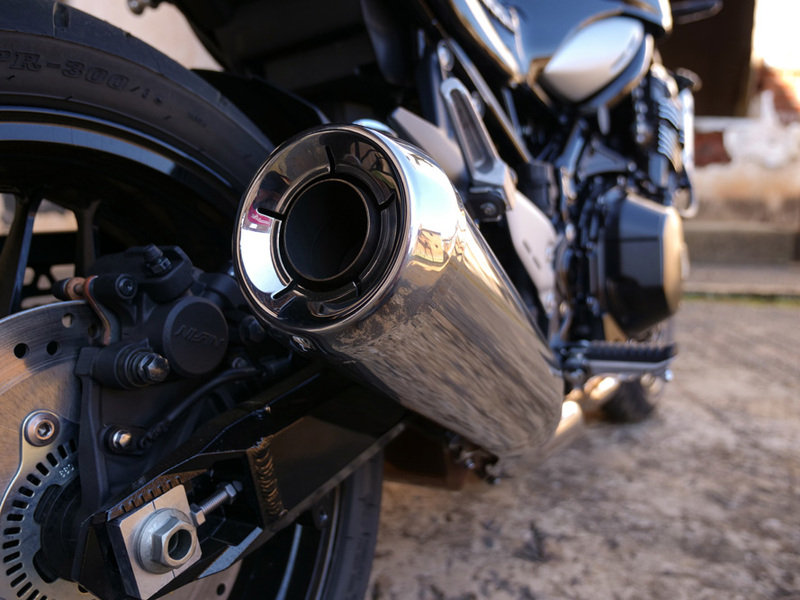 The bike sports a four into one exhaust which emits a lovely raspy growl. Most owners back in the day tossed the four pipes in favour of lighter, power enhancing four in ones anyway. 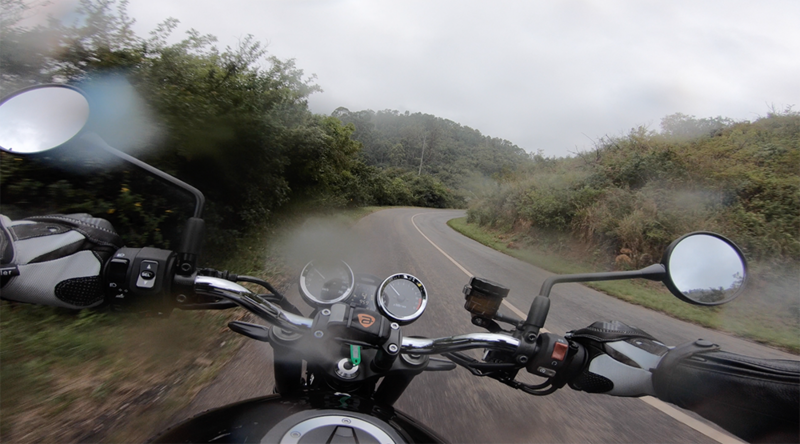 A characteristic worth mentioning is how the engine compression and gearing scrub off speed when you roll off the throttle, This made riding treacherous, wet and steep mountain roads much easier to traverse. No need to touch the brakes. ABS and adjustable traction control keep things in check anyway. Being somewhat old school, I like to keep the electronic intervention to a minimum and rely on decent riding habits to keep things tidy. Using the gearbox is a doddle too. Shifts are crisp and precise. Miss a gear here and it is because you are sloppy, not any fault of the bike. Kawasaki have done a good job with the instrumentation. 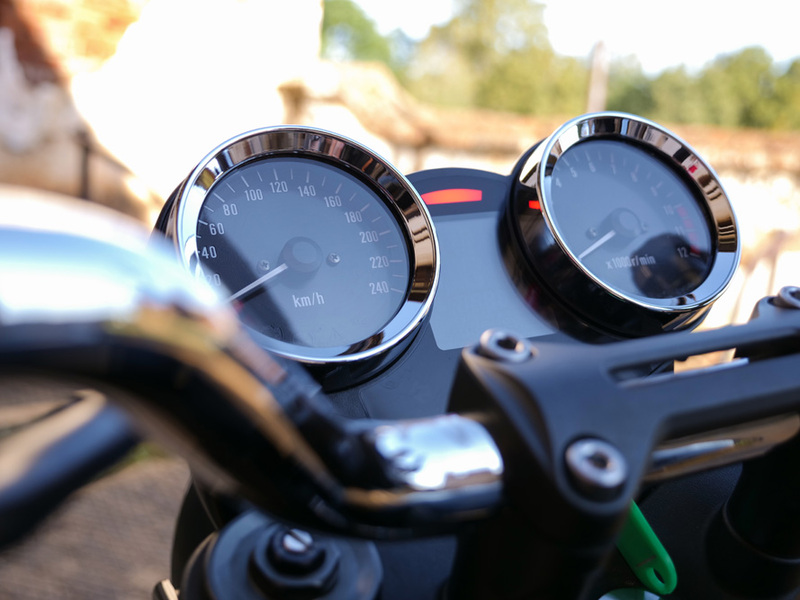 The clocks are styled exactly like those on the original Z1, however they have used the space between the analogue speedo and rev counter for a digital display that monitors all the bikes functions, ie, fuel gauge, trip meters, current and average fuel consumption, temperature, time and even an “eco” emblem which appears when throttle use is judicious. 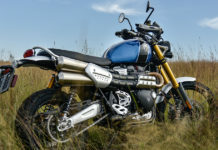 The styling and standard equipment is such that there is really not much that owners will want to do to customise their bikes. I would probably spoon on a set of Clubman handlebars to lean a little more into the windblast, and for the rest, leave well alone. My overall fuel consumption, cruising at 140 with the occasional “special stage” in the mountains, worked out at around 17 kpl. Stick strictly to the legal limit and the bike will give you 20 kpl, no problem. A useable 17l tank capacity results in decent fuel range. 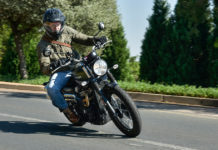 So, how does the Kawasaki Z900 RS stack up as a modern classic? Some may say it is not “exotic” enough, too much a UJM, [Universal Japanese Motorcycle]. That however is exactly the point Kawasaki is trying to make. They want to remind you how the Japanese changed the face of motorcycling forever by building smooth, reliable and refined motorcycles which, at the same time set new performance standards. 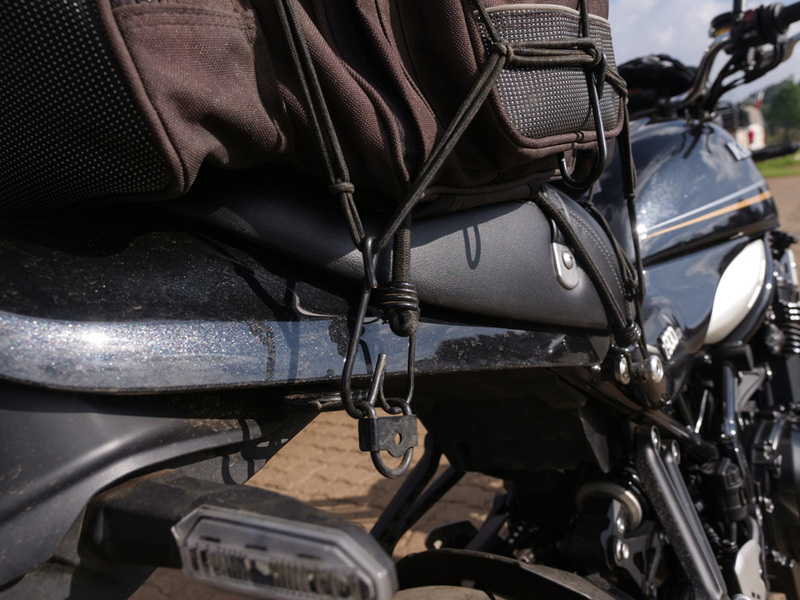 Little features like bungee mounts, missing on modern road bikes, make this Zed a really pleasurable and practical ride. Nostalgia does come at a price. Generally speaking, modern classics cost a bit more than there equivalent road bike siblings. In some cases they are also more about show than go. 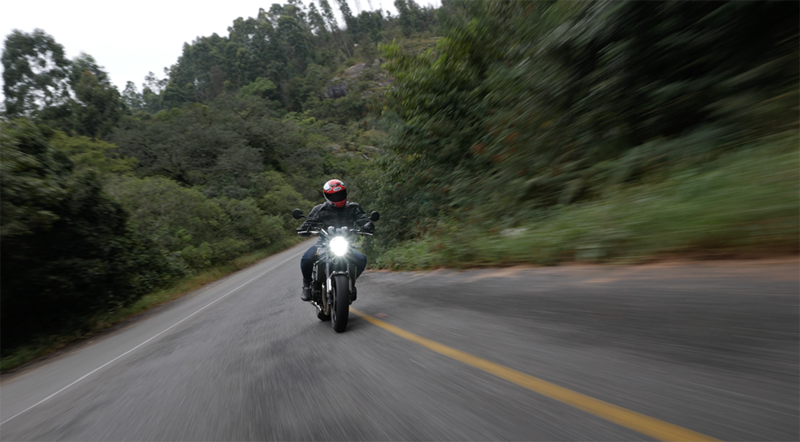 With their Z900 RS, Kawasaki give you a superb roadster that is accomplished in every application. To pay a little premium to get the huge dose of Zed one legend is worth every single cent! 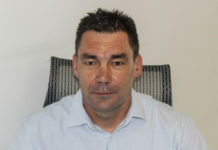 My name is Dave Cilliers. I consider cars as four wheeled shopping baskets and only worth using as a last resort! For years bikes have been my primary transport. 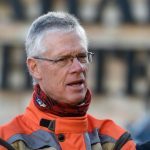 Racing, touring, commuting or just kicking up dust on African tracks, I have owned over 270 motorcycles and ridden millions of kilometres. I am happiest when sharing my passion for motorcycles with like minded people whilst traversing Africa in search of adventure. Kawasaki H2-SX – Ballistic Cruise Missile!